When Mega Mewtwo Y is on the bench, your attacking Pokemons attacks do +20 damage. Discard two energy. Flip a coin. If heads, the defending Pokemon is Paralyzed and Burnt. 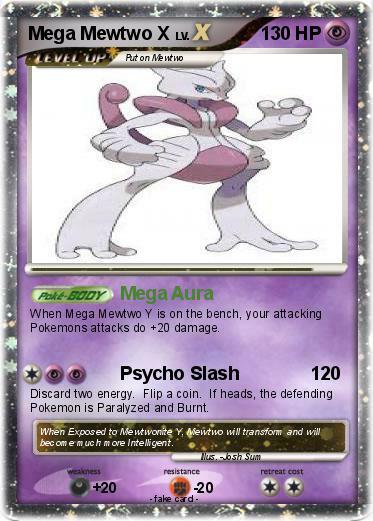 Comments : When Exposed to Mewtwonite Y, Mewtwo will transform and will become much more Intelligent.